Have a wedding, birthday, special occasion coming up? Or maybe you just really like cake. Well, you're in luck because we have compiled the ultimate hit list of Brisbane's most EXTREMELY talented bakers. Diabetics beware, this list is not for the faint hearted! Showstopping numbers are Brisbane baking legends - Sugar Bomb Cakes - specialty. There's no problem these cake masters can't solve with a piping bag and chocolate fondant. Been scouring the internet for a baker with style and flare who can expertly capture your unique personality in cake form? Look no further than these gals. One look at Whipped Cake Co's Instagram is likely to induce a sugar coma. These cakes are the stuff of legend. Big, bright, colorful, and decadent...garnished with things macaroons, ferrero rochers, and plenty of nutella. They have become our new obsession. In the dog house with your lady friend and looking to get back into her good graces? Allow Cakes by Karleigh to help you out. Her marvelous creations exude femininity with soft pastels and eye catching floral arrangements. The team behind Cocoa Bianco aren't shy when it comes to garnish. These cakes SCREAM decadence! Just imagine surprising your loved one with a gorgeous cake loaded up with all their favorite sweet treats. These stunning creations are likely to bring a tear to your eye with their breathtaking embellishments and excellent use of color. Each cake is like a work of art! Rest assured if you book with Chantilly & Co you are in very good hands. 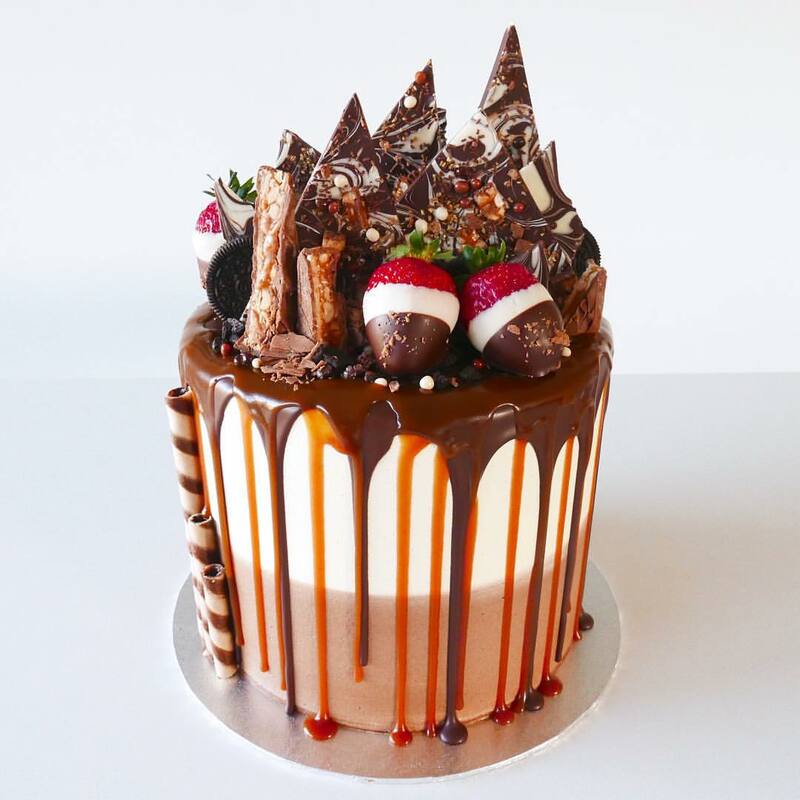 If we could legally marry a cake we would probably pick one by talented Brisbane bakers Mio Cupcakes...These cakes are like all of our wildest dreams come true. I mean is a groom 100% necessary to order a wedding cake? We think not! Timeless, Elegant, and Luxurious are words we'd use to describe the magnificent cake creations coming out of Petal and Peach Bakery. One scroll through their breathtaking Instagram page is guaranteed to leave you with serious wedding fever.